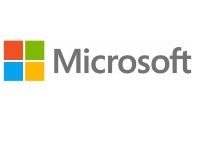 Microsoft has confirmed that DirectX 11.2, the next-generation version of its application programming interface (API) and hardware abstraction layer (HAL) for multimedia devices will be exclusive to Windows 8.1 and its Xbox One console. First introduced for Windows 95 as the Windows Games SDK, DirectX was not initially successful. The software's main use, to allow games developers device-independent access to game-related hardware, was hampered by the fact it would only run in Windows. At the time, most popular games were available exclusively for DOS due to the performance hit that resulted from running a game alongside Microsoft's graphical operating system. 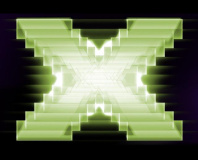 The inclusion of DirectX as a default component of Windows 95 OSR2 and Windows NT 4.0 in 1996 helped increase its exposure, and heavy promotion by Microsoft - alongside its programme to encourage developers to make enhanced versions of their existing DOS games that would run exclusively under Windows - helped, but it wasn't until Direct3D was introduced as part of the DirectX bundle that consumer interest grew. Microsoft had timed the launch of Direct3D well. Gamers were increasingly looking at using 3D accelerators to boost the graphical fidelity of their games, rather than relying on software-based renderers as had been common in the past. Direct3D allowed developers to offer hardware-accelerated 3D rendering regardless of the client hardware, so long as the graphics card manufacturer provided Direct3D support in its drivers. Many did exactly that, and DirectX was well on its way to being the de facto standard for Windows gaming. 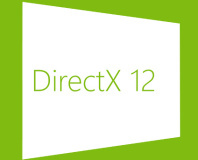 At the BUILD conference running this week, Microsoft has confirmed that it is continuing to work on DirectX with plans to launch DirectX 11.2 in the near future - and promises of new technology to boot. During a keynote session at the conference, Microsoft's Antoine Leblond showed off a new feature to attendees that promises to increase the amount of detail that can be shown on-screen: tiled resources. Designed to allow a game to use both system RAM and graphics RAM to store textures, Leblond claimed that tiled resources will enable DirectX 11.2 games to vastly improve the resolution of textures displayed in-game. By way of proof, Leblond showed off a demonstration that used a claimed 9GB of texture data - the majority of which was held in system RAM, rather than graphics RAM. It's a clever trick, and one that could help boost the quality of future PC games - but it's one that will require those who have yet to take the plunge to upgrade their operating systems. Leblond confirmed that Direct3D 11.2 will be the first version of the API to support tiled resources, and that it will be exclusive to Windows 8.1 on the PC as well as featuring in Microsoft's next-generation Xbox One console. That Microsoft is using an updated version of DirectX as a carrot to encourage those still on Windows 7 or earlier to upgrade should come as no surprise: its predecessor, DirectX 11.1, is a Windows 8 exclusive. The only real surprise is that DirectX 11.2 won't be coming to Windows 8, either, with Microsoft reserving the update for its bleeding-edge Windows 8.1 release due in the autumn. Just shy of his 25th anniversary, too.